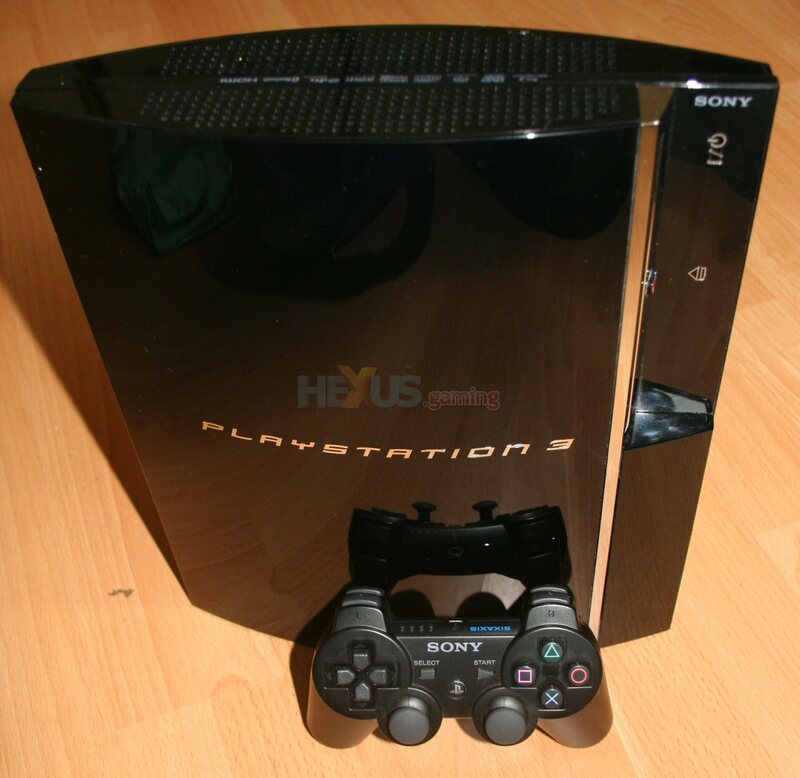 Page Jump: ========== 1 - The Sony PlayStation 3 is here and we've played the arse off it! 2 - Whew, it's a meaty beast! 3 - Let's power it up! 4 - All the other stuff it does EXCEPT games... 5 - Gaming, the PlayStation 3 and HD goodness 6 - The conclusion... and it's a goody! The conclusion... and it's a goody! Right, time to draw a few conclusions on the PlayStation 3 and see if I can line up my thoughts in a coherent manner. Hmm, ok, I’ve now re-written this bit four times to try and figure out how to get my thoughts over and each time I end up straying off into the complexities of possible situations where the PlayStation 3 would be good or where the Xbox 360 is better. I think that the best option is to divide the pros and cons into three (broad) categories; Gaming, Online and Media. Lets’ kick off with Gaming then as this is undoubtedly why most people will be buying the PlayStation 3. Now, let’s just drop all the damn fanboy crap, ok? Let’s be honest. The PlayStation 3 launch line-up, though bigger than the Xbox 360 launch day range, isn’t one of the strongest set of titles I’ve ever seen. But to be honest, the 15 titles the Xbox 360 had weren’t exactly a set of ‘must haves’ either. But let’s ignore the crud and look at what some of these titles promise for the future. We’ve got some great quality visuals pretty much across the range, which is down to the PlayStation 3’s HD output. But what is more striking, once you get past the visuals, is the sheer amount of stuff going on, which hints at how powerful the PlayStation 3 is. Whether these games are already pushing the console or, as I believe, developers will really start to make use of its power in the future, is up to you to decide for yourself, but I reckon the PlayStation 3 hasn’t even started to think of breaking a sweat yet and there’s going to be some awesome games in the future... just don’t ask me what they are now... and no, Warhawk isn’t one of them. Compared to the more mature and established Xbox 360, the PlayStation 3 only has the Sony pedigree to back up its gaming element right now. But that’s a massive reputation and Sony have a well proven history of giving the gamers what they want... after all, the PS2 is the most successful console ever, so I fully expect the PlayStation 3 to improve beyond compare in a very short space of time. The online side of the PlayStation 3, compared to the Xbox 360 is, largely, unproven. What I can say, having watched the PlayStation Network develop over time, is that Sony are making great strides forwards and moving more and more to a proper, console friendly system rather than the standard webpage with your cursor jumping to hyperlinks. It still feels very ungainly compared with Xbox Live but here’s hoping they sort it out. After all, we now have downloading in the background, which was something sorely lacking to start off with. All I can say is that Sony need to make sure they emulate Microsoft in standardising how you connect with other players in-game... Sort that out and you’ll be laughing. 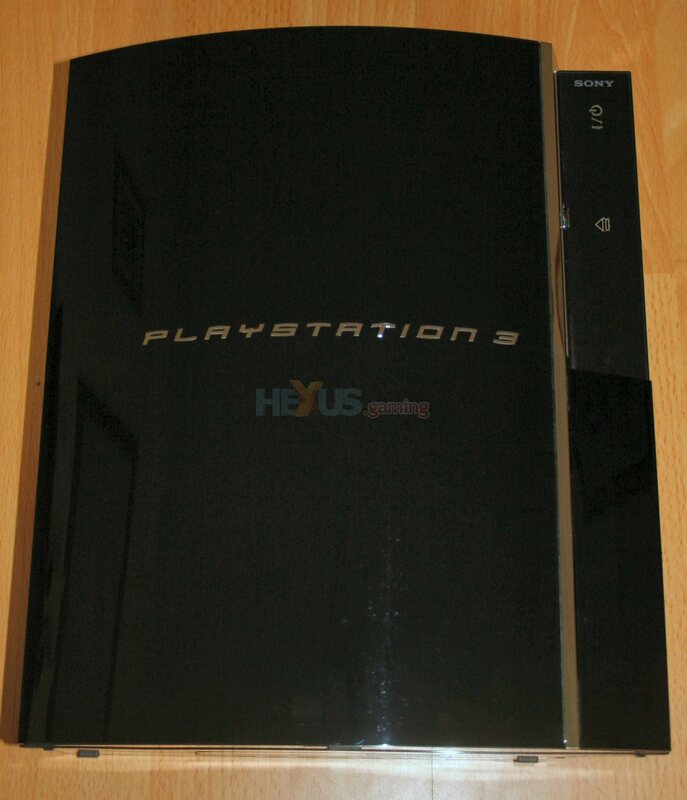 Let’s move onto media where, to be frank, the PlayStation 3 falls on its arse. Sorry, but it does. Let’s just disregard Blu-ray for a minute and look at what you can do with it in your home as it’s highly unlikely you’ll have a Blu-ray disk ready to hand, eh? Well, unless you have the time and the energy to keep copying files to memory sticks, you’re going to find the home media experience with the PlayStation 3 extremely lacking. You can’t stream anything. Yes, yes, I know Sony aren’t saying that they can or they ever intended to but the point is that their biggest competitor, the Xbox 360 can do it. Compare the two side by side and the Xbox 360, with its lower price tag and media extender ability, knocks the PlayStation 3 out of the park. Ok, the PlayStation 3 has built in Blu-ray but this doesn’t matter if you’ve not got an HD panel. And the Xbox 360 offers up an external HD-DVD drive which is far less elegant but it gives you the choice to upgrade if you want to. Of course, no-one have a clue who will win the HD disk wars, perhaps we’ll just have two standards, but even ignoring this for the minute, the fact that you could use an Xbox 360 everyday and never have to go near it to stream your media makes Microsoft’s console the better option. Like I said, I know Sony aren’t pushing the PlayStation 3 as a media system... but that’s like opening a butcher’s shop and only selling free range chicken when the guy across the road does everything for half the price. It’s not just about what the PlayStation 3 does, it’s about what the competition does, too. So, as it stands right now, even if you want a PlayStation 3 purely for gaming, I would advise to perhaps wait a few months. Let the furore die down, wait until stores have stopped demanding stupid money for daft bundles and hang on until publishers have got a few more games out. You’ll have more choice and get better value... because, right now, once the warm glow of owning the latest hardware has worn off, I think you’ll find yourself wondering what to do with the PlayStation 3, especially as the Xbox 360, though maybe not doing it all in 1080 HD, does do a lot more. That said, something tells me that as the PlayStation 3 matures and developers start really pushing it, we’ll see the PlayStation 3 emerge as the console of choice for gaming. 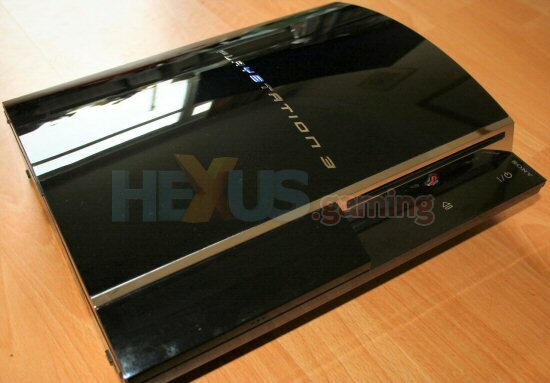 Sony get back in the console game but the PlayStation 3 needs software support... now! HEXUS World Leading HEXUS Right2Reply initiative invites manufacturers, their representatives and vendors which supply HEXUS with products for technical editorial evaluation, to comment on the articles that we publish. If they choose to respond, we publish their response verbatim. Hey, you mention that you can't stream media yet. What about dumping a DivX movie onto a USB stick? If I plug it in, will that play? How's the upscaling? Also you mention that the PS3 does 1080i do you mean this, or do you mean 1080p? One of my fave PSP apps pimp streamer is out for wii and PS3 this should allow you to stream pretty much whatever you want. And dumping a DivX file to USB is hardly streaming, which was my point. Like I said in the review, I can stream through the Xbox 360, (DivX too) without having to leave the sofa, which is the biggest difference between the Xbox 360 and the PlayStation 3. Aye, I'll give that a go. Does it stream over the network though? Nick, after reading all that, do you think its worth the &#163;425 price tag? i.e. would you spend &#163;425 to get one? The version under review is a UK PAL version. I do already own a US version, which kind of reinforces my belief that this will be a serious gaming console once the games software has kicked in. One thing to remember is that the PlayStation 3 comes with a Blu-ray player built in and the console can output in full 1080p high definition.